Style, comfort, and functionality come together beautifully with the newest offering in Aden+Anais' bedding collection, The 100% cotton muslin crib skirt. Wonderfully soft, the crib skirt is the perfect accessory to complement every nursery. 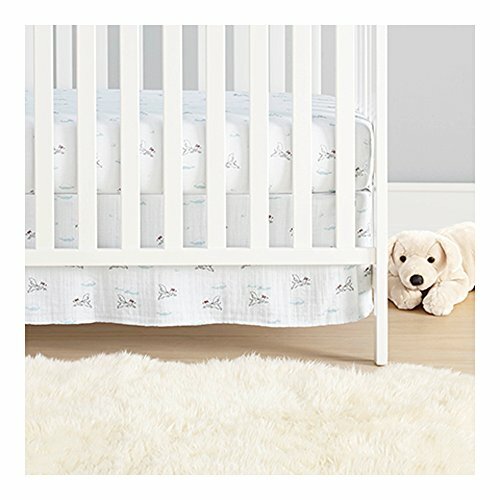 Designed to fit standard-sized cribs and toddler beds*, the double-layer crib skirt is durable enough for everyday use, and softens with every wash. With this newest addition to your nursery, every night will be dream-like for baby and you.